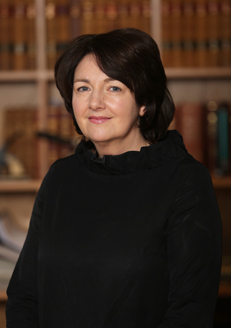 Estella Rogan qualified as a Solicitor in 1993 having previously obtained a Bachelor of Civil Law Honours Degree from UCD. Estella worked in a number of top Dublin firms and was a partner in Dockrell Farrell Solicitors a top ranked Dublin law firm prior to joining Branigan & Matthews Solicitors in 2002. Estella has extensive experience in property, landlord and tenant, probate and estate planning having built up a reputation for dealing with complex probates on behalf of both national and international clients often involving multi jurisdictional assets in the USA, UK and mainland Europe. Estella regularly attends and contributes to courses and lectures on probate matters and is highly regarded.